Todays challenge was very simple. Combine shop bought ingredients and finish with a home made twist. My attempt was pork pate and I wanted to make it even more special with no effort or expense. I used orange marmalade because it’s in the fridge and goes with pork and the onions and leeks I made earlier in the week. No effort but gorgeous. 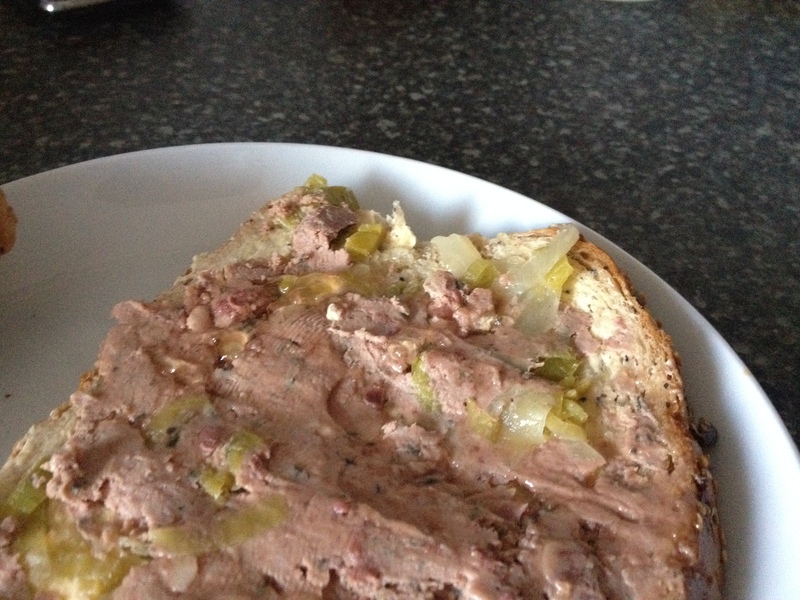 I know, I know, the pic doesn’t really sell it but how do you make a pate sandwich look good? « What can you do with Cabbage?